Scalescenes offers you a web based choice of downloadable digital data, each subject can be printed out on your home printer. The subjects have realistically weathered scale photo-based textures. You can print out the data onto any type of paper, smooth or textured to suit the subject chosen. A stone based subject would look better on a coarse paper. The printouts can then be laminated on to card to give a sturdy construction with no ugly exposed card edges. Simple to cut out. Make a mistake – just print it out again! 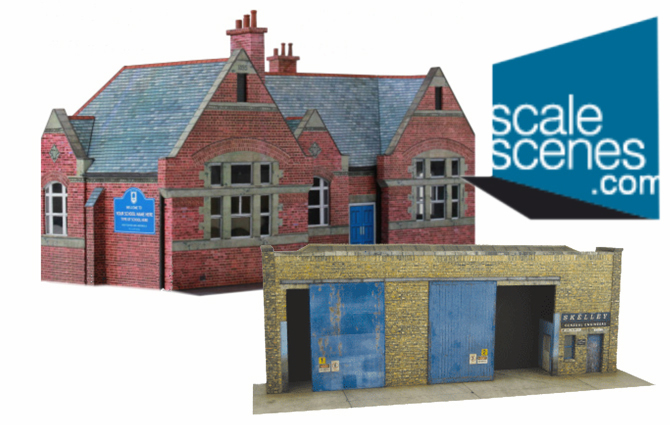 There is a choice of subjects from their Railscene or Townscene ranges, there is also a range to suit the scratch builder with a range of bricks, roof tiles, paving and different texture finishes.